Starting September 1, B.C.’s legislative management committee will start to post their expenses (including receipts) online. Alberta has a similar system in use, where their MLAs regularly share their expenses with the public – even breaking them down into categories and supporting them with receipts. Recent indiscretions by MLAs in other Canadian provinces have inspired Finance Minister Mike de Jong to back this effort for transparency from B.C.’s MLAs. In Nova Scotia, several MLAs were charged and sentenced to prison for improper expenses. Elsewhere, in Alberta, Alison Redford was forced out of office for wasteful spending, and people are still talking about former federal cabinet minister Bev Oda’s $16 claim on a glass of orange juice. Meanwhile in B.C., Speaker Linda Reid recently found herself in the spotlight after she claimed questionable upgrades at the legislature and business-class flights to South Africa for her husband as professional expenses. Such activity so close to home has peaked B.C. citizens’ suspicions that their hard-earned tax dollars are perhaps not being spent as they should. Up until now, much of MLAs’ expenses have been shared publicly every four months – the NDP even provides monthly reports – but they have only been posted in terms of totals. With these new changes, de Jong hopes to maximize transparency to the point where the public will be able to see every single one of our MLAs expenses – right down to cost of their hotel breakfast or the price tag on their second home. Expand B.C.’s Freedom of Information law to include the legislature and MLA expense accounts. Though ministries, core government and Crown corporations fall under FOI, the legislature is exempt. Eliminate some unnecessary perks, like severances and training allowances for defeated or retired MLAs. 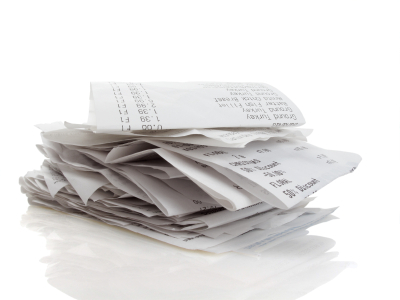 Get rid of cash allowances, and make any repayments subject to providing receipts. Ban taxpayer-funded trips for spouses of MLAs. The changes being instituted this September are a good step towards preventing government waste, but such flagrant misuse of taxpayer’s money could have been avoided to some degree had all government employees, from the ground up, had the opportunity to report on any perceived wrongdoing through an effective, and anonymous, whistleblower program. Effective whistleblowing programs are built on a foundation of risk management, which includes a comprehensive understanding of all possible risk areas and potential points of ethical breaches. A 24/7/365 whistleblower hotline ensures that all employees always have an outlet to report any perceived wrongdoing.